In many ways, Michael Luckevich is the lucky one in his family. The 58-year-old Seattle-based big-data analyst can climb the stairs of his home without worrying that his legs might collapse beneath him. With effort, he can haul himself out of a chair on his own. His body isn't racked by severe chronic pain – although, until recently, at least, he often suffered low-grade discomfort that led him to put off physical tasks, like fixing the pipes under his sink, because he didn't think his aching body could handle the strain. His sisters, Theresa and Rosanne, on the other hand, aren't so fortunate. Theresa, a 62-year-old former nurse, has the most serious case of the rare genetic disease that afflicts four of the eight siblings in their family: hypophosphatasia (HPP), an inherited disorder in which the skeleton fails to mineralize; in the worst cases, those involving babies, HPP leaves the bones soft as wet noodles. While Theresa often walks with a cane to avoid falling and fracturing a bone – she's had about a dozen such fractures over the course of her life – Michael can walk on his own. His symptoms have always been milder, but he's lucky in another way, too. He lives in the United States, where he has access to a made-in-Canada miracle drug called Strensiq, which helps manage the disease. His sisters, who live in Canada, don't – even though they participated in more than seven years of clinical trials that contributed to approval of the drug. During the time they were on it, the drug improved their waddling gaits, relieved their joint and muscle pain, and decreased the number of their bone fractures, all hallmarks of their disease. But now that the trials are over, they don't have access to Strensiq – nor do most of the 100 or so other Canadians known to have HPP. The reason is the spectacularly high cost of Strensiq, one that Canada's public drug programs are balking at paying. Mr. Luckevich's contract work for Microsoft afforded him private insurance coverage for Strensiq, beginning last August. A few months after he started taking the drug (a half-dose regimen to begin with) his health improved enough to cut his over-the-counter painkiller consumption in half. He felt so good, he says, he actually crawled under his sink and did that repair work. "I fixed the thing," he says, "and I felt good about it." But when he found out that his half-dose of the drug cost $1,048,320 a year, he decided to take a stand for those who are not so lucky. He wants to see Connecticut-based Alexion Pharmaceuticals Inc. lower the price so that his sisters in Canada can afford to get it. And so, against the advice of his doctor and his family in Seattle, Mr. Luckevich decided last month not to order his next shipment of Strensiq. "In solidarity with my sisters," he wrote in an e-mail to Alexion, "I am going to discontinue treatment until this situation is corrected." Theresa Luckevich, 62, was one of the first Canadians diagnosed with hypophosphatasia, a rare genetic disorder in which bones and teeth don’t mineralize properly. 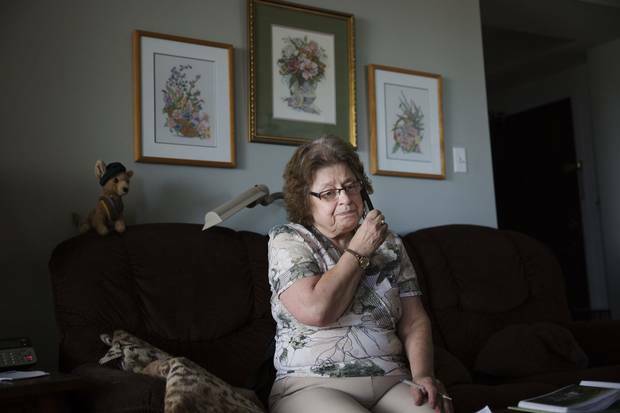 For more than seven years, she participated in clinical trials that led to the approval of a drug that treats the condition – but its astronomical cost, more than $1-million a year, means she can’t afford to take it. 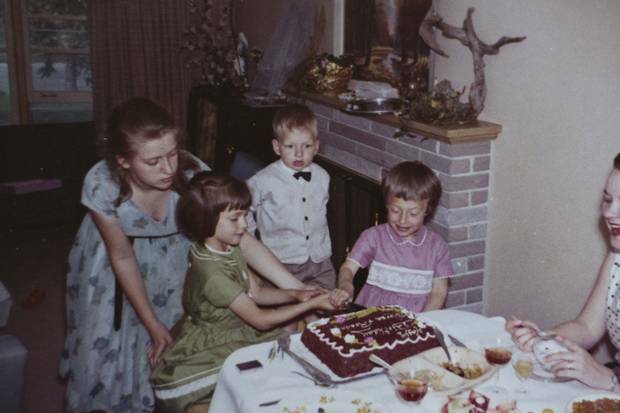 A childhood photo shows Rosanne and Theresa Luckevich – in green and pink dresses, respectively – celebrating their shared birthday. The Strensiq case lays bare the dilemma that Canada and other countries are confronting, as more and more astonishingly expensive drugs for rare diseases win regulatory approval. Rare, or "orphan," diseases are already creating one of the hottest corners of the pharmaceutical market; it is expected to be on fire by 2022, when worldwide sales of orphan drugs are forecast to hit $209-billion (all figures, unless noted, are U.S.), nearly twice what they are today. EvaluatePharma, a U.S. company that analyzes the pharmaceutical and biotechnology sectors, predicts that orphan-drug sales will grow by 11 per cent a year over the next five years, twice the rate of conventional prescription drugs. In many ways, that growth reflects the success of orphan-drug laws in the United States, the European Union and Japan. Those laws provide tax breaks, grants, swifter-than-usual approvals, and – crucially – extended market exclusivity to companies that develop life-saving or life-altering treatments for ailments that might affect only a few thousand people around the world. Such incentives have convinced some drug makers to invest in treatments that used to be unprofitable. In the decade before the United States passed the Orphan Drug Act in 1983, the Food and Drug Administration signed off on 10 drugs for rare diseases. Since then, the FDA has approved more than 600 such drugs. Canada has no orphan-drug policy of its own, a sore spot for the 1 in 12 Canadians who suffer from a rare disease. But soaring orphan-drug sales are about more than drug makers responding to government incentives. The upward trajectory is also about the breathtaking prices set by companies who hope to earn as much profit on orphan drugs as on conventional medicines, with the costs spread over far fewer patients. Private and public drug plans may be able to absorb seven-figure hits for a handful of patients on a few drugs. But what happens if the orphan-drug pipeline keeps producing breakthroughs that threaten to break the bank? "It's probable that we're going to see more million-dollar drugs, and more million-dollar-a-year drugs," says Jonathan Gardner, the U.S. news editor for EP Vantage, the news and commentary service for EvaluatePharma. "People are going to have to make some hard choices." In the meantime, HPP patients in this country are desperate for a funding deal in the case of Strensiq, a drug that, advocates ruefully note, was invented by a Canadian biochemist to treat a condition with a uniquely Canadian backstory. "Here's a disease that was discovered in Canada, that was diagnosed, written about, coined – everything – in Canada," says Debbie Taillefer, the president of Soft Bones Canada, an advocacy organization for patients with HPP. "We thought we would never have a therapy. We were told by experts outside of the country that it might be our great-great-grandchildren that might see something." Ms. Taillefer, who was diagnosed with HPP at the age of 33, says that she and her fellow patients are now frustrated that a treatment is in sight, but mostly out of reach. "Which is worse?" she asks. "To be standing in the desert dying of thirst, or to be handed a glass of water and told that you can't drink from it?" The story of Strensiq began with a failed experiment in a Montreal laboratory a little more than a decade ago. Philippe Crine, then a professor of biochemistry at the University of Montreal's medical school, was searching for an effective enzyme-replacement therapy for an inherited bone disease called X-linked hypophosphatemia (XLH), a type of rickets. Enzymes are proteins that set off important chemical reactions in the body. If a particular enzyme is in short supply, or missing, people fall ill. Medical scientists have figured out how to correct some of these deficiencies by using gene-splicing technology to produce enzymes – grown in cells that were originally harvested from Chinese hamster ovaries – and turn those enzymes into medications that can be delivered to patients by intravenous infusion or an injection under the skin. Such an approach works to treat a range of ultrarare metabolic diseases that cause the progressive poisoning of organs. The trouble, when it comes to bone diseases, according to Dr. Crine, is that the drug rushes directly into the bloodstream and dissipates – instead of penetrating the bone, where it's needed. His idea was to create a modified enzyme that would head straight to the bones, where he hoped it would work its healing powers on patients with XLH. For reasons Dr. Crine still doesn't understand, the treatment didn't work. But he was certain that the approach held promise for patients with other conditions. So, he and his colleagues at Enobia Pharma, the fledgling Montreal-based biopharmaceutical company he'd helped to found, began searching for a disease for his cure. The team had never heard of hypophosphatasia when they began their hunt. But they figured that Dr. Crine's novel treatment could be game-changing for people with rare bone disorders, so they started scouring the closest resource at hand: a compendium of rare genetic diseases that was sitting on one of their desks. They began flipping through the pages, Dr. Crine recalls, searching for a condition that might respond appropriately. "And then – 'Aha!" The more Dr. Crine read about HPP, the more excited he grew. Caused by a genetic mutation, the disease is characterized by abnormally low activity levels of an enzyme called alkaline phosphatase, which promotes the formation of mineral deposits in bones. Without adequate levels of this enzyme, bones don't harden. Instead, they remain soft, and prone to fracture and deformity. What Dr. Crine didn't know when he stumbled across HPP is that Canada's Prairie Mennonite population has one of the highest rates of the disorder in the world. Globally, the severest form of the disease is believed to affect somewhere between 1 in 100,000 and 1 in 300,000 people. The rate among Manitoba's Mennonites is about 1 in 2,500. At the Health Sciences Centre Winnipeg Children's Hospital, doctors typically see one or two babies a year with HPP, usually with the most dire forms of the disease. HPP can present at different ages and with symptoms that vary dramatically, depending on the nature of the patient's underlying genetic defect. In its most lethal incarnation, the disease stems from severe misprints on both copies of the gene that encodes for alkaline phosphatase. The double mutation can cause babies to be born with bones that appear translucent or hauntingly invisible in X-rays. Their tiny lungs, constrained by narrow chest walls and feeble ribs, struggle for breath. Most die early, unable to sustain their own breathing. Michael P. Whyte, a leading expert on HPP, recalls the agony of watching infants and young children dying without effective treatment. "It was, in many respects, heartbreaking," says Dr. Whyte, the medical-scientific director of the Center for Metabolic Bone Disease and Molecular Research at Shriners Hospital in St. Louis, Mo. Early attempts at enzyme-replacement therapy had failed, and researchers, including, Dr. Whyte, didn't see many signs of a breakthrough – until the day he got an intriguing phone call from Dr. Crine. What he heard caused him to get on a plane to Montreal. Dr. Crine told him that he was testing a promising new treatment for HPP with the help of a California scientist, José Luis Millán, who is now a professor of human genetics at the Sanford Children's Health Research Center in La Jolla. In his lab, Dr. Millán had created genetically engineered mice to mimic the course of severe HPP in newborn humans. Left untreated, HPP killed the mice in 21 days. But with Dr. Crine's bone-targeted enzyme-replacement therapy, the mice lived, and began growing bones that had been missing at birth. Dr. Whyte quickly joined the research team, which published its findings in the Journal of Bone and Mineral Research in early 2008. They dubbed the therapy ENB-0040, or asfotase alfa, and sprinted onward to the first phase of human trials, in which drugs are tested not to see if they work, but to ensure they do no harm. "After seeing the animal data, I was convinced that we were on the right path," Dr. Crine said. "We had almost a mystic feeling that this was going to work." One of the patients enrolled in the Phase I safety trial of ENB-0040 was Theresa Luckevich. At the time, she was 54, and had recently left her job as a nurse at a Toronto hospital because of the constant pain caused by HPP. Her bones fractured frequently, and she had just undergone two surgeries to insert supportive metal rods in her broken legs. Ms. Luckevich had heard about the ENB-0040 trial from another of her sisters, who does not have HPP, and decided to join. She flew to Duke University in North Carolina to receive her first dose of asfotase alfa in November of 2008, while another branch of the study was already unfolding in Winnipeg. 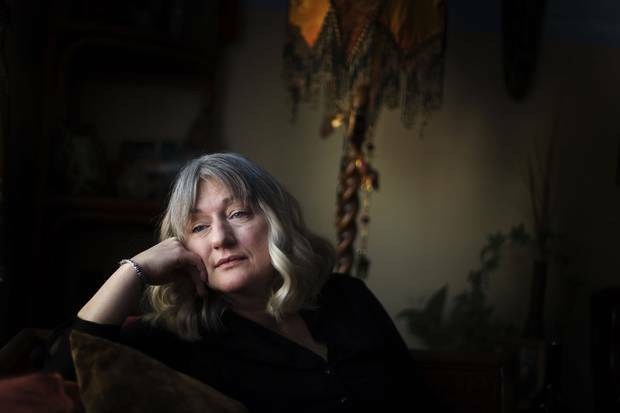 "When they gave me the drug infusion, that was horrendous," she recalls, laughing, during an interview at the apartment where she now lives in Brampton, Ont., northwest of Toronto. "I started with these heart palpitations and pressure in my chest. I had nausea. I had retching. I had an incredible headache. They kept going, 'We're almost done Theresa. We're almost done! Let's get this infusion in you. We have to get every drop in you!'" The Phase I trial also tested an injectable version of the drug, which Ms. Luckevich found easier to take. Most HPP patients now inject the drug themselves, the same way that diabetics inject insulin. Lasting about two months, the safety trials were too short for Ms. Luckevich to feel much improvement. But she decided to join a longer trial of the drug. As the safety trials got under way, Enobia geared up for the first true test of the efficacy of ENB-0040. The company secured permission from Health Canada and local research-ethics boards in Winnipeg to treat, as part of a study, HPP-afflicted babies whose lives were in danger. As it turns out, the next baby who needed such help was a seven-month-old girl from Northern Ireland. In October of 2008, she was airlifted to Winnipeg. Amy Tinsley was on the edge of death by the time she and her parents, Leanne and Philip, arrived in the Manitoba capital. Despite being diagnosed with severe HPP shortly after her birth, she had survived the first five months of life on her family's dairy farm without major health scares. Then hypercalcemia, a side effect of low alkaline-phosphatase activity, set in. Calcium levels in Amy's blood spiked dramatically, causing projectile vomiting and extreme irritability. Her skin turned the colour of porridge. Doctors in Northern Ireland flushed Amy's system with fluids every three days to wash away the excess calcium, but it kept returning. Amy's doctor told Leanne Tinsley that her daughter was rapidly declining. "He said, 'Every textbook says that hypophosphatasia is invariably lethal. Full stop,' " Ms. Tinsley said in an interview from her home in Dromore, southwest of Belfast. But he also wanted to find a way to offer hope. "Your child has survived this long," he told her. "I want to give you every opportunity. Are you happy for me to search worldwide and see if there is anything out there that we can try?" Six weeks later, Amy was on her way to Winnipeg. On the day of her first intravenous infusion of ENB-0040, medical staff packed her hospital room. Ms. Tinsley remembers the first treatment going smoothly. Within 24 hours, Amy's hypercalcemia subsided, never to return. The little girl remained gravely ill, with lungs and bones so weak that she had to wear a ventilator mask for most of the five months she spent in Winnipeg. But Cheryl Rockman-Greenberg, the doctor overseeing her treatment, eventually received permission to increase the dose of the drug. Gradually, Amy's symptoms began subsiding and her bones showed signs of strengthening. She had soon recovered enough to go home to Northern Ireland, where she continues to take Strensiq today, paid for by Alexion. During her mother's video interview with The Globe and Mail, Amy, now 9, popped in to say hello, wearing a pink sweatshirt and sporting a blond ponytail. Her health, she says, is "fine," as she leaned on the kitchen table and listed her favourite activities: riding her bike and playing stuck-in-the-mud, a kind of freeze tag. Despite undergoing two early-childhood neurosurgeries to relieve pressure on her brain and, more recently, having metal rods inserted into her back to straighten her curved spine, Amy is healthier than her parents dared dream when she was born. When the family left Canada, their 13-month-old daughter couldn't hold up her own head. "We never thought Amy would sit up, walk, run," Ms. Tinsley says. Today, she can ride a bike without stabilizers. "She walks around freely … her lifestyle is set to match her sister and her brother." Amy was one of 11 children, all of whom had life-threatening or severely debilitating HPP, enrolled in the study. One child was withdrawn from the trial after reacting poorly to the first intravenous dose of the medication. Another died of sepsis, or blood poisoning, at seven-and-a-half months of age. The rest recovered in ways that sound Lazarus-like, even in the dry language of the resulting study that appeared in the New England Journal of Medicine in March of 2012. "Skeletal healing became apparent as early as week 3 in Patient 2 and was striking at week 24 in all patients except Patient 3, who had no visible bone at [the beginning of the study.] … Of the nine patients who were treated for 48 weeks, all but two were bearing weight through the legs; four were walking or taking early steps, one was standing, two were crawling, and one was sitting. Patient 3, who [at the beginning of the study] had no radiographically visible bone, had a [tracheotomy], and had no spontaneous movement, moved all limbs against gravity at 48 weeks." Medical images illustrate the effectiveness of the treatment. At the start of the trial, an X-ray view of Patient 2's hand looked like a near-empty glove. Six months later, it looked like the glove a child might wear to play a skeleton at Halloween, full of clearly articulated bones. "Those were really incredible [days]," Dr. Crine said. "Just seeing those kids starting to do better and starting to move and smile and run around, it was so moving. It created, inside the company, such an incredible good feeling." At that point, Dr. Crine realized that his biopharma company, then funded by venture-capital money, had to increase production of its only drug. Enobia needed to conduct more trials and prepare for the complicated business of seeking regulatory approval for ENB-0040, none of which would be cheap. Dr. Crine also knew the company had a lucrative breakthrough on its hands. In late 2011, about three months before the New England Journal of Medicine study was published, Alexion Pharmaceuticals bought Enobia and ENB-0040 for a little over $1-billion. Less than four years later, ENB-0400 reached the market under a new name: Strensiq. If the name Alexion Pharmaceuticals sounds familiar, it's probably for one reason: The company makes a drug that was, until recently, considered the most expensive in the world. Soliris is an intravenous drug first approved by the FDA in 2007 for sufferers of paroxysmal nocturnal hemoglobinuria (PNH), a chronic and life-threatening condition in which a genetic defect causes the destruction of red blood cells. Treatment is estimated to cost as much as $700,000 a year, depending on the weight and condition of the patient. It's a cash cow for Alexion, accounting for the vast majority of the company's $3.1-billion in worldwide sales last year, and put Alexion in ninth place among companies that make orphan drugs. And all that revenue comes from relatively few patients. In the U.S., Soliris produces more revenue per patient than any other orphan drug – more than $1.1-billion in sales for just 2,352 patients in 2016, according to EvaluatePharma. That's an average of more than $450,000 a patient. But determining the true cost of Strensiq – or whether Alexion is overcharging for the drug – isn't straightforward. Like all large pharmaceutical players, Alexion makes public a list price for its drugs, then reduces that price in confidential deals with major customers such as government-sponsored drug plans and large private insurers. "Imagine the sticker price at the car dealership," says Michael Law, a University of British Columbia health-policy professor who holds a Canada Research Chair in Access to Medicines. Like car buyers, big players in the pharma business, such as private insurers and governments, negotiate discounts off the list price. The price that Michael Luckevich was quoted for his Strensiq is a list price. The patchwork pricing system, which lets drug companies raise or lower prices depending on the customer or market, makes it almost impossible to determine whether Alexion is charging more for Strensiq in Canada than elsewhere. The Patented Medicines Prices Review Board (PMPRB), which was established to control drug prices in this country by measuring them against those in seven other affluent nations, has accused Alexion of selling its first drug, Soliris, at an "excessive" price; it is a charge the company denies. A public hearing on the dispute is scheduled to wrap up later this month. List prices, then, should be taken with a grain of salt. Still, they provide a clue as to the real price of a drug. Estimates by two expert committees that evaluate the cost-effectiveness of new drugs in the U.K. and Canada range from $457,500 a year for a patient weighing 19.3 kilograms (about the weight of a five-year-old) to more than a $1-million (Canadian) a year for a patient weighing more than 20 kgs. While the details of their recommendations differ, both bodies said that taxpayer-funded reimbursement of Strensiq should be limited to children for now – in part because there is more evidence that the drug helps, and even saves the lives of, children with more severe forms of the disease. As those children grow, so will the cost of their Strensiq. "Strensiq is the highest-cost product that we have reviewed," says Brent Fraser, the vice-president of pharmaceutical reviews at the Canadian Agency for Drugs and Technologies in Health. CADTH oversees the Common Drug Review, which provides advice to the provinces and territories on whether they should add new drugs to their lists of medications covered for qualifying patients, such as seniors, social-assistance recipients and patients with catastrophic prescription-drug bills. Some private insurers take their cues from provincial governments' decisions – if the public side refuses to cover a drug, the private side might say no, too. "The ability to pay is really being tested with some of these drugs," says Stephen Frank, vice-president for policy at the Canadian Life and Health Insurance Association, which represents the private-insurance industry. "Five years ago, we would have said, 'A couple hundred thousand dollars a year? Boy, we couldn't even conceive of anything more than that.' Now, we've hit a million dollars, and now Strensiq is pushing two million dollars [for adult patients]. At some point, there's just an ability to pay here that we've hit a threshold on." In a report released last March, the Common Drug Review recommended that Strensiq be covered for children with pediatric-onset HPP, provided that Alexion agreed to a "substantial reduction" in price. The review didn't say how deeply the price should be cut. But according to the mind-numbing algorithm the CDR uses to decide whether a drug is worth the money, Strensiq is unlikely to be cost-effective, "even with a price reduction of 90 per cent." Advocates for people with rare diseases say that the CDR's analysis is a perfect example of the wrong-headed decisions being made without a law or policy framework to govern rare-disease drugs in Canada. The Conservative government of Stephen Harper proposed an orphan-drug framework in 2012, but the idea went nowhere. Some other countries, including the United Kingdom, have separate pathways to public reimbursement created specifically for orphan drugs. An orphan-disease framework in Canada could establish new protocols for judging the cost-effectiveness of rare-disease breakthroughs, rather than evaluating them as though they're the latest hypertension pill to join a crowded market. While the CDR's recommendation offers hope for children with HPP, at least, most families desperate to get their hands on Strensiq still can't get it. The pan-Canadian Pharmaceutical Alliance (pCPA), which aims to secure group discounts on behalf of the provinces, territories and the federal government, started negotiating with Alexion in 2016. But the head of the drug company's Canadian operations says they haven't been able to reach a deal. "The pCPA inexplicably and unilaterally shut down the negotiations," says John Haslam, general manager of Alexion Canada. Talks between drug makers and the pCPA don't often end this way. As of the end of February, the alliance, which was founded in 2010, has completed or closed 142 negotiations, only 10 of which ended without a deal. Two of those 10 outliers involved Alexion. A spokesman for Alberta Health, which led the Strensiq negotiations alongside Manitoba, said by e-mail that the pCPA "wishes to see this matter resolved favourably for all parties and remains open to re-engaging with the company." Mr. Haslam says that Alexion has already offered a considerable discount off the sticker price, along with a per-patient cap to control the cost of Strensiq for heavier patients. In explaining the sky-high price of Alexion's drugs, he says that the company settles on a number after looking at the extreme rarity of the disease the drug treats, the devastating effects of the condition, and how the drug transforms lives – in the case of babies, Strensiq can save their lives. Without a deal, Strensiq is not available in Canada except to a select few: children who were involved in the clinical trial (through Alexion's posttrial access program), newborn HPP sufferers who would die without the drug, and any patients fortunate enough to have very deep pockets – or an employer and private-insurance company willing to cover the cost. The U.S., Germany and Japan are so far the only countries that have agreed to fund Strensiq for patients with pediatric-onset HPP, so long as the symptoms began in childhood. Dr. Crine, the inventor of Strensiq, finds himself getting emotional whenever he attends a conference about HPP and visits the booths hosted by the advocacy groups representing patients from each side of the border. On the U.S. side, "it's euphoria," he says. "They get treated. They get reimbursed for their drug. They do well. I'm meeting kids that I can play with as if they were my grandchildren. "On the other side, I see Canadian patients and they're crying because they cannot get access to the drug." Rosanne Luckevich, shown at her home in Toronto. Since losing access to Strensiq , the pain in her hips and legs has intensified. While most Canadian adults with HPP have little hope of getting Strensiq, Theresa and Rosanne Luckevich received good news recently that means they may soon regain access to the drug. As participants in a company-sponsored trial, the sisters should be eligible to continue receiving Strensiq injections for free through Alexion's posttrial access program says Mr. Haslam, of Alexion Canada. Dr. Rockman-Greenberg, who oversaw the original ENB-0400 trials in Winnipeg and is a professor of pediatrics and medical genetics at the University of Manitoba, says she was told by Alexion officials that the adult trial participants would be limited to two months of free Strensiq, hardly sufficient for patients who need the drug in perpetuity. But she has now applied again on their behalf and hopes that Mr. Haslam's assertion is true. And she's also working to help other adults with HPP. Without a thumbs-up from the Common Drug Review, securing permanent funding for Strensiq for adults seems a pipe dream at best. So, Dr. Rockman-Greenberg is developing a proposal for a randomized, double-blind, placebo-controlled crossover trial of Strensiq for adults, one that she hopes will provide the proof necessary to justify funding for eligible adults in the future. For now, Theresa Luckevich feels there is not much she can do – other than wait. Still, she can't help but remember how good things were on Strensiq. "I had much more stamina," says Ms. Luckevich, who received her last vials of the injectable medication nearly a year ago. "I felt I was walking taller and straighter. And the stairs! I could go up and down the stairs with just the railing. I didn't have to pull myself up." Rosanne Luckevich, a 61-year-old artist who lives in Toronto, lost access to Strensiq around the same time as did her sister. Since then, the pain in her hips and legs has intensified, forcing her to dig her old cane out of the basement. When she and Theresa travelled to Winnipeg last week for a follow-up assessment with Dr. Rockman-Greenberg, X-rays revealed that both women have new fractures in their femurs. "I keep wondering if there isn't a way I could get [Strensiq] through the U.S. Should I move to the U.S., go back into the work force, get myself a health plan?" Rosanne asks. But then she stops herself. "These are pipe dreams. The only option I feel I have is simply to wait and hope that Dr. [Rockman]-Greenberg, who has been pitching for us ardently for so many years, will find a way to break through." If Dr. Rockman-Greenberg doesn't succeed on their behalf, perhaps their brother will. Michael Luckevich has offered to pay Alexion $1,000 a month for Strensiq for himself and for each of his three sisters – Theresa, Rosanne and a third sister who also has HPP. That's $48,000 a year. "You have a great product," Mr. Luckevich wrote to Alexion. "It is a tragedy that more people do not have access." Kelly Grant is a health reporter for The Globe and Mail. Lynd and Klein: Why Canada needs a clear policy on orphan drugs Many patients with rare conditions see access to so-called orphan drugs as a right, no matter what the cost. But can the health-care system bear the cost? Without rare-disease policy, patients in Canada face steep costs for drugs Advocates are pushing governments to adopt a strategy to help patients with rare diseases navigate the system and get the medication they need, Carly Weeks explains. Why are life-changing biologics out of reach for so many? The rising cost of biologics has created a unique situation for thousands of Canadians who want, but cannot afford, their life-altering medication, Oliver Sachgau explains.